The impulse to make art, I think, is one of the central characteristics that makes us human. It’s an impulse we experience from our earliest days, a seemingly inborn compulsion. That’s you, one of my daughters once told me. She was three at the time, and the picture she had drawn was little more than a circle and four wobbling lines. But to her — and to me — it was art, and she had drawn it and described it without hesitation or abash. She simply did. She simply made. And yet, as adults, so many of us have difficulty discussing art. I don’t get it. I don’t understand it. It’s just a block of color. Discussing art can feel intimidating. It can feel uncomfortable. But for Emily Sano (B.A. ’66, History), discussing art is a joy. Every industry has its rock stars, and in the world of art curation, Sano is something of a celebrity. 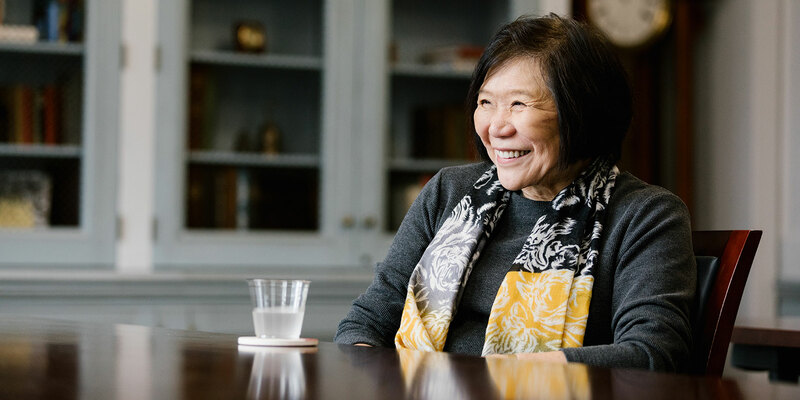 Among many other curatorial positions, she served for more than a decade as the director of the Asian Art Museum of San Francisco, a world-renowned institution of more than 18,000 pieces. 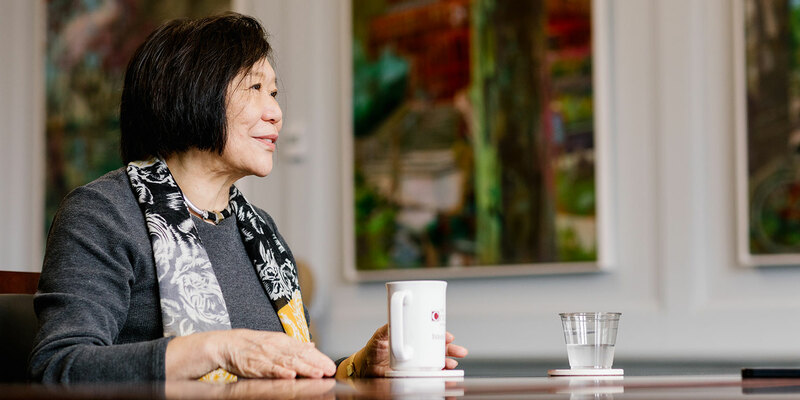 A second-generation Japanese American, Sano currently serves as the senior advisor for Asian art at the San Antonio Museum of Art, but she recently returned to Bloomington to accept the College of Arts and Sciences’ 2018 Distinguished Alumni Award. On the day of our interview, Sano admits that she isn’t feeling well. She flew into Bloomington the night before, she explains, and she’s come down with a cold. Her voice is hoarse. She asks for a glass of water and a cup of herbal tea. She touches her throat as if it’s tender there, and indeed her words are soft and careful. But the rasp of her voice belies her enthusiasm for the topic. Despite her cold, Sano is energetic. Vivacious, even. We talk about art, Japan, the public, and the private, and as she speaks her eyes flash with excitement and energy. Suddenly, discussing art doesn’t feel so intimidating. You arrived at IU planning to become a scientist, but that changed after spending your junior year abroad in Japan. Tell me about some of your memories from that year. What was that experience like? For the junior year abroad, I attended a language school called the Inter-university Center for Japanese Language Studies. It was out in a town on the outskirts of Tokyo called Mitaka. It was a marvelous arrangement for the introduction of foreign students to a college campus in Japan. The group of American students who went included both undergraduates and graduate students. The graduates students were largely those both in Chinese art history and in Japanese art history, and it was the first time I had encountered those professions. They were really fun to get to know because they had more to do. For the majors in history and political science, you dealt with libraries and ideas and discussion groups about movements and so forth, but with the art historians, you had actual activities. Museums to go see. Flea markets and antique shops to delve into. It was much more compelling. As a Japanese American, was that your first time visiting Japan? Yes, and I had not known much about Japanese culture because I grew up in rather modest circumstances in Arkansas. The environment I grew up in was not Japanese at all. There was some attachment to foods, of course, but living in the south, one did not have access to a lot of the fish that is fundamental to Japanese cooking. I did not have a lot of background in what was Japanese. I felt entirely American and entirely foreign in that situation. I came to love it, but it wasn’t something that came naturally to me. "... With the art historians, you had actual activities. Museums to go see. Flea markets and antique shops to delve into. It was much more compelling." In thinking about your childhood, what kind of artwork did you have in your house growing up? Were you surrounded by artwork? No, not at all. I think my parents had a Japanese porcelain tea set that was made from a “good” company that they had received as a wedding gift, but we didn’t have art, no. Everything I discovered was second-hand and from school. Going to Japan was when I discovered woodblock prints. I didn’t know about woodblock prints, and certainly not about hanging scrolls and screens. It was all very new to me, but it was all so beautiful that I became really quite passionate about it, and the passion has stayed with me all this time, even after years of being a museum administrator, which will knock the stuffing out of you if you let it. Well, speaking of that, of course I wanted to ask you about the curatorial side of things, too. You’ve done curatorial work for nearly 40 years, from the Kimbell Art Museum in Fort Worth to the Dallas Museum of Art to the Asian Art Museum of San Francisco. What separates a successful exhibition of art from an unsuccessful one? That’s a tough question, because an art exhibition — I learned in the end — is very much like show business. You come up with a great idea, you develop a cast, you develop a theme, you negotiate for this and that, and you put it all together, and will they love it? You just don’t know. You really don’t know. I have had shows that were runaway successes — just sensational things — and I’ve done some that were duds. And you couldn’t tell beforehand, Oh, this one’s going to be a splash or Eh, I’m unsure about this one? Not always. You can’t always tell. One of the most popular shows that I mounted was devoted to geisha. And this got an awful lot of push back. It was terribly controversial. People accused the museum of promoting prostitution. You know, I don’t want my daughter to go see this show because I don’t want her to be influenced by prostitutes. And we tried to make the argument that, no, they really are professional entertainers, but they had all seen some of the woodblock prints and that colored their opinion. So, it’s an adventure, and it is frequently hard to tell whether or not something will work. Related to all this, I wanted to talk about art in the private space versus art in the public space. When, if ever, is it unfair for a piece of art to be owned privately? I don’t think it’s unfair for a piece of art to be owned privately. Artists have to make a living. Most great artists, and even not so great artists, produce art because they’re compelled to do it. They produce, and what are they going to do with it? If one likes art, it’s only natural to put it in an environment that is close to you, like your home. It’s wonderful, I think, that certain people develop collections for their private spaces. And sometimes it is just decoration for people. Kay Kimbell, who was the founder of the Kimbell Art Museum, was a wealthy man, and he bought art just to decorate his house. But he learned to appreciate it so much that he left his estate to build a museum of the first class. By buying things and hanging them up, he could see that there was a difference in some of the pieces from other pieces that he bought. There was a rank and a grade, and some of it was good enough to be shared with a larger audience than just he and his wife and their friends. I think that begs a really interesting question: When and why does a piece of art arrive at the point that it becomes a kind of public necessity? I don’t know that you can say that it ever becomes a public necessity. Right now, art is a market. It goes to the highest bidder. That is not a matter of public necessity. People are not paying $200 million for things that are public necessities. They’re willing to pay for them because they have the funds, first of all, and the piece is available, and if they can achieve it and share it, then it brings glory to them. If a collector can bask in the achievements of a piece that he buys and shares with the public, that’s a greater reflection on himself. I don’t think it’s a necessity, so to speak. "Americans, yes, definitely, can appreciate something as much as someone from a different country. One just has to get into it." Getting back to the curatorial for a bit, what are some of the misconceptions that people have about art curation? I think that curation, compared to so many other fields, is not totally familiar to everyone. I’m sure that people have misconceptions. What are they? I think that the most common one is that art curators get to sit around and look at art all day. It’s not that. Certainly, they have to get to know their collections. They have to study what’s in the institution where they work. But curators have a responsibility that goes along with that collection, and they have the responsibility of interpretation. The fundamental mission of any art museum is to preserve and to teach. It’s the responsibility of the curator to manage that collection, research that collection, and teach that collection. So, that’s part of it, and then there are many other things that come along with it. It’s working with donors. It’s meeting deadlines for print materials, for publicity materials, for grant applications. You serve the public in a lot of different ways. You have to see to your own research, too, and negotiate with conservators. That’s all part of the curatorial workplace. I’d be remiss if we didn’t talk a bit about art appreciation, too. As I was thinking about our interview and the Asian Art Museum of San Francisco and my own appreciation of art, I wanted to ask: Are there any cultural limitations to a person’s appreciation of art? For instance, can a white American have as much appreciate for a piece of Japanese art as a native Japanese person can? You know, it was so interesting to me, when I went back to Japan, to visit with people who had no clue about Japanese art in Japan. No clue. They all went to temples when they were in the sixth grade on school trips and this and that, but the ordinary folks really were not well-versed in what their artistic traditions were. So, Americans, yes, definitely, can appreciate something as much as someone from a different country. One just has to get into it, and learn what’s behind it. A lot of people say, Well, I don’t know anything about art, but you don’t have to know. The biggest misconception about learning about art is that you’re supposed to know something when you go in. You don’t have to know anything. You’re supposed to learn to look. That’s what you have to do. Eventually, it will come to you. Eventually, you will see, This one is clear, and this one is not. Why is this one not and that one is? It’s at a very simple level — I know this sounds childish — but that is what people have to learn to do. That’s when you start appreciating art. Raymond Fleischmann is Director of Advancement Communications for the College of Arts and Sciences and serves as the primary editor for The College Magazine. He holds a B.A. in English and the Individualized Major Program from Indiana University, and an M.F.A. in creative writing from Ohio State University. 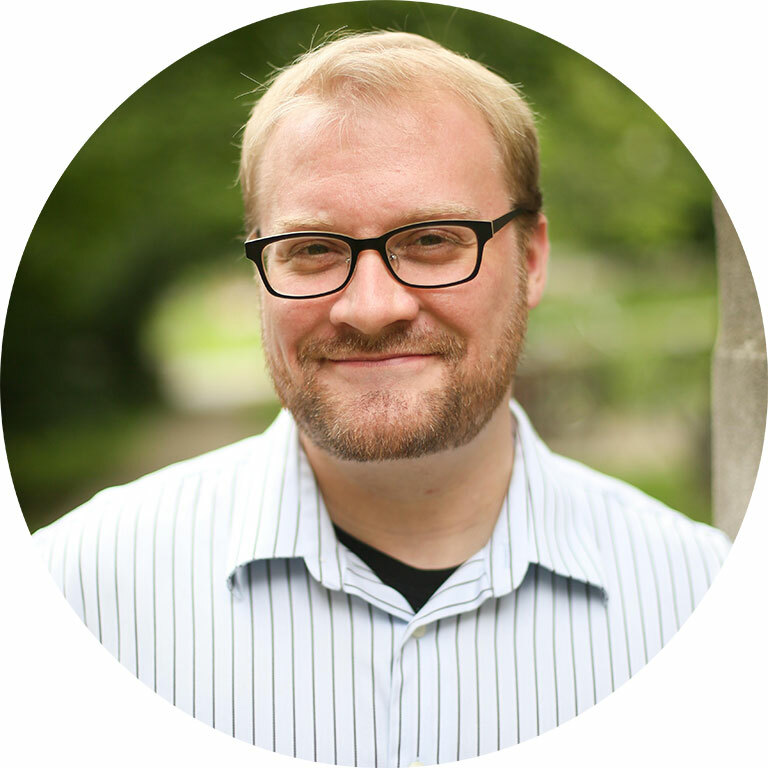 His first novel, How Quickly She Disappears, is forthcoming from Penguin Random House (Berkley Books), and his short fiction has been published in many literary journals, including The Iowa Review, Cimarron Review, The Pinch, River Styx, and Los Angeles Review. Reach him at rfleisch@indiana.edu or through his website raymondfleischmann.com.